We’re back with another episode here on social enterprise. We have a doctor on this show who has been making a big impact in Detroit. It is Dr. Paul Thomas of Plum Health Care DPC. He has a dream of changing the notion of health care from a plastic card in your wallet to true healing from a healing doctor! What a concept! Hi Everyone, this is Romy, and we’re back with another episode here on social enterprise. We have a doctor on this show who has been making a big impact in Detroit. It is Dr. Paul Thomas of Plum Health Care DPC. He has a dream of changing the notion of health care from a plastic card in your wallet to true healing from a healing doctor! What a concept! Before we get going here, I want to give a big hello and thanks to our listeners in Japan, we appreciate you! Now, let’s see what Natalie has today for us on the Fun Fuel…. I’m Natalie Hazen and I am bringing you this episode’s Fun Fuel. The Medicine Ball isn’t usually the hottest topic of conversation. If you like to exercise and are a gym goer, you may incorporate the medicine ball into your routine. Or perhaps this little dynamo isn’t a part of your repertoire and you pass by, leaving it sitting on the rack wondering what to do with it. One of the early uses of medicine balls was around 1,000 B.C. where Persian soldiers used round bladders filled with sand as part of their resistance training. Later on, Navy doctors would tell sailors to throw the balls around the decks of the ships to reduce boredom, avoid seasickness and improve the overall health of the enlisted men. But it was the United States President Herbert Hoover who brought the medicine ball to the attention of the rest of society in 1931 with his new sport called Hoover-Ball. When the president’s personal physician noticed the president’s sedentary lifestyle he developed a medicine ball throwing game to get him up and moving around. The president and members of his team would throw the sand-filled ball over a net similar to the one used during volleyball games. Big kudos to this physician’s creativity to get his patient out and about and active. Like other early games, Hoover-Ball may not be played today, but the medicine ball surely has played an important role in many people’s overall health. Thanks for listening and now on to the episode. Well, that was truly a fun fuel fact! I love it. So much history of innovation and disruptive strategies all around us! That is a great segway to my conversation with Dr. Paul Thomas. Dr. Paul Thomas:	Yes, so we are a family medicine service in Southwest Detroit, called Plum Health DPC, and the DPC stands for Direct Primary Care. What that means is that I work with my patients directly, and we don't bill or use insurance. Instead, my patients pay me a monthly membership fee to be a part of the practice, kind of like a gym membership. Our service cost is $49 a month for adults, and it's $10 a month for kids. With that, my patients can come in and see me anytime they need me. That's the basic of it. Romy:	How did you get the idea to start to do this? Dr. Paul Thomas:	Well, I heard a podcast in 2012, and I was driving back from a residency interview in Minnesota. 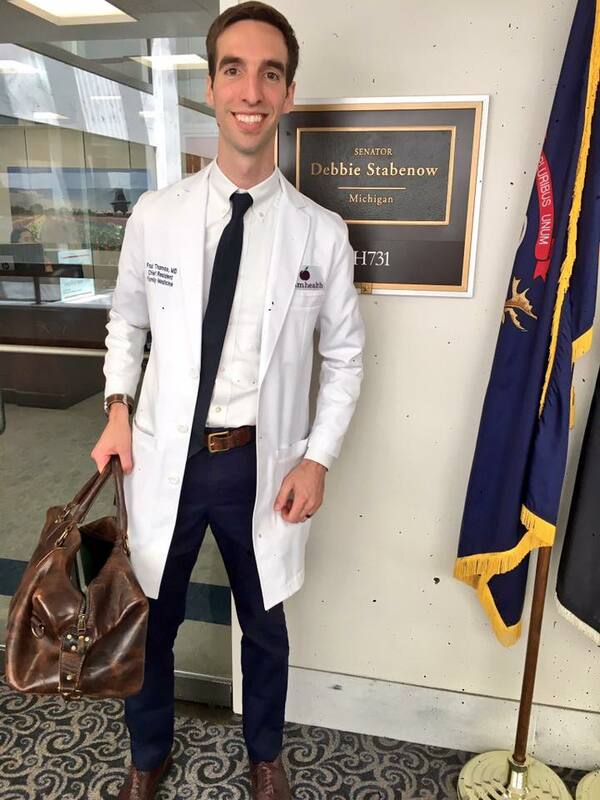 My friend sent me this text, and she just said, "Hey, Paul, there's this guy doing this libertarian concept for medical care, and I think it's right up your alley." 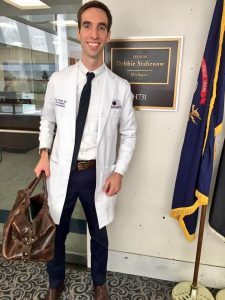 My friend's a libertarian, so I gave it a listen, and it sounded like this really great idea, but at the time, I wanted to be a teacher, a family medicine doctor who teaches other students and residents, so I filed it in the back of my mind. Then I went to this conference for the Michigan Academy of Family Physicians, and there was this really powerful speaker, who talked about the value of being a primary care doctor, all the great things that we can do for our patients, and the value of using a membership model to serve our patients. These two doctors were relentlessly positive and upbeat about their work that they were doing, and it was inspiring, so I did this road trip and visited their practices. One was in Wichita, and that gentleman was Dr. Josh Umbehr, and one was in Denver, Colorado, and his practice was NextEra Health, and that was Dr. Clint Flanagan. I had, really, two great mentors. I drove out, and I took the best of exactly what they were doing, and I brought it back to Detroit. In short, I stole the idea from some other great thinkers. Romy:	So, are you originally from Detroit, or what's your connection to Detroit? 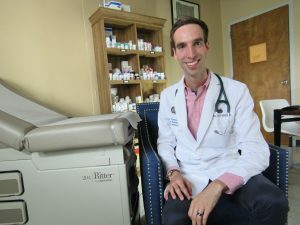 Dr. Paul Thomas:	Yeah, so I was born here, and I grew up in Grosse Pointe, so I've always been in and around the city. And my family has been in the city for multiple generations, so it's kind of somewhere I care a lot about and a place that I want to give back to. Romy:	So, when did you officially open for business, as Dr. Paul Thomas, DPC in Detroit? Dr. Paul Thomas:	November 1, 2016, and it's a little bit hazy. I know it was November, but I just had some people pre-enrolled, and then one of those people who had pre-enrolled for the IVF Plum Health actually needed something in November, so I started seeing them, and I guess it's the first official time that I've launched. And I was making house calls at that point, and then I established my physical office in January of 2017. Dr. Paul Thomas:	At this point, it's about 95% in office work, and I'll make a house call here or there for people who really need it. Romy:	And so, what has the response been? Because it's very inexpensive to have your services. It's really destructive in the healthcare market, and I mean that, in really, I hesitate to use the word innovative, but it's just going back to the basics, which is about us as human beings. How has it been received in the Detroit market by your customers? Dr. Paul Thomas:	Yeah. I mean our customer reviews speak for themselves. We've got a ton of great reviews on Google, on Facebook, and Yelp, et cetera. I mean, that's kind of like a basic layer for that. But it's been a really positive reception from community leaders like we won the Motor City Match Award, and we're going to use that money to build out a larger office. We've been invited to speak at TEDx Detroit, and that was a really positive response to what we're doing. And I think the community has embraced this idea. I think some people might be a little skeptical at first of, "Why don't you take my insurance?" But once they get into the practice, once they meet me, once we talk and once I spend an hour with them to go over their health history and figure out what their concerns are, I win people over pretty quickly to the idea of direct primary care. Romy:	Right. Just because it's always been one way for them doesn't mean it's still the right way to go forward. You know. And I don't think people realize how expensive insurance is to manage for physicians. Dr. Paul Thomas:	Yeah. So typically, a doctor spends more ... half or two-thirds of their time doing non-patient care activities. And one of those, the biggest activities is billing and coding the medical encounter. So, you go in for a visit, and you have a 20-minute time slot with your doctor. And they might spend 8 minutes with you and then use the other 12 to document the visit appropriately and then send it off to the biller. And then that's not where it ends. They have to hire a bunch of billers and coders to double-check their work and then send it off to the insurance company for payment. And if you're lucky, the insurance company will pay you about 60% of what you bill out. Right? So, let's say you bill for a strep throat visit, which is $140 and get paid maybe 60% of that, so you're left with about 90 bucks. But then you have to ... usually half of your revenue goes to your overhead, you have a really high overhead running a traditional family medicine office. So, you're paying all your billers and coders to do that work. So, in short, doctors are spending a lot of time and a lot of money trying to get paid by insurance companies. So, by removing all of that, kind of, rubbish, let's say, I get to spend all of my time with my patients. And I don't have to send my bill to an insurance company. I just ask my patient to pay me the fifty bucks a month. Romy:	Love it. Love it, love it. I'm a huge fan of this bringing the services direct. I love it. Eliminating the middle-man. Well, what are some of the things that you're seeing from an impact on people's health? I'm just really curious to see if more people are stepping up and saying, "I'd like to use..." They're more likely to maybe use your services. Dr. Paul Thomas:	Yeah. Yeah, I mean the stories that I've come across, the people that I've met are unbelievable. You know, folks who don't have insurance and are scared about what it's going to cost to go in to get something taken care of. And then they sign up for a membership with me, after like 4, 5, 10. I had a guy who came in; he was 40. And he hadn't been to the doctor since high school. So, like 22 years. Not seeing a doctor because he was scared about what it would cost. And so, I end up finding a lot of high blood pressure that's been untreated, or diabetes that's been untreated and the person may not even be aware of it because a lot of these diseases or conditions can be silent and that's the real danger. They call high blood pressure, or hypertension, the silent killer because you don't know you have a problem until you might have a heart attack or a stroke. So, those are tough, when you have that conversation, like, "Listen. Your blood pressure's been elevated for God knows how long, but I'm glad you're here now. Let's take care of it." And then they're surprised to find out that the blood pressure medication that they might need is one cent per pill. So, they're spending 30 cents a month to manage it now. Romy:	Gets rid of that whole fear piece. Dr. Paul Thomas:	At first, I had a pretty strong, well I still do. But I used social media to get out there. I wrote a blog post. I speak at events, like TEDx Detroit. I talk to as many bloggers and podcasters as I can. I wrote some opinion pieces for the Detroit News. I got interviewed on Channel 4, WDIV which was awesome. That really got the word out for us. That was a huge break. So, all of those things in combination has led to a strong funnel for people to find our practice and now that we're up to about 250 members, and we've been doing this for a year and a half, word of mouth is starting to play a role, where people are starting to refer their friends or family and people and people are really comfortable with the service and enjoy the service. So, we're growing in all sorts of ways now. Romy:	That's powerful. I think that's pretty encouraging for other service providers considering this membership model. That's turned out to work well for you, right? Dr. Paul Thomas:	Yeah. It's worked great. And I guess somebody asked me about how you've been successful in marketing, so if you're thinking of starting a business, or if you want to provide a service to the world, tell people why you're doing it. And for me, my why is that I want to bring affordable, accessible health care to Detroit. And that hasn't been here always. It's not routinely available. So, when I tell that story, it resonates with people and people want to share it. So, if you want to do something great, if you have ambition-driven business or a charitable organization, get really good at telling your story and why it's valuable for people. Romy:	Yeah. That's such a good word that we can get tangled up in. Sometimes defending why we're out they and we forget to talk about that powerful why that gets us up in the morning. Romy:	Yeah So let's move into something ... another angle of your business. You also offer healthcare services to an entire business. Right? Kind of, I would call that almost a commercial offering. Dr. Paul Thomas:	Yeah. Definitely. I have a few small businesses that have signed up for our service. A restaurant, like an organization that manufactures a product, a political campaign and in total that comes out to about 35 to 40 employees in total among those different businesses that we have enrolled. And essentially, their employees receive the same services that an individual would, but the employer pays for those services. So, it's a direct primary care option for small businesses, and it works really well for those companies that are either self-insured or they don't have enough revenue to provide health insurance for all their team members, but they do want to provide some sort of health care because it's the right thing to do. So, I'm happy to help those folks out. Romy:	That speaks to the health of the business, too, right? If they've got healthy employees, then they can offer something, right? Traditional health insurance is very expensive for a small employer. And that's ... can be almost overwhelming in terms of a monthly cash flow for a small business. So, this is a great alternative. Dr. Paul Thomas:	Right. So, like, yeah, it's one of employees at the restaurant cuts their finger and they need stitches, they can call me up, and they're right down the street so they can get it done, pretty much, right away. And it costs $10 for the suture material and the laceration kit, the tools that I need to do the job. So, the charge for that visit is ten bucks. Romy:	Has anyone been upset with you that you're doing it this way? Dr. Paul Thomas:	Well, I get a couple of people who call in and who ask me to be their doctor. Well, I can't. "I saw your great reviews on Google, like 30 five-star reviews, and my friend told me about you, and this is awesome." And I'll say something like, "Oh. This is so great. I'm so happy to hear that. Before we get started I just want to make sure that you understand that this is a monthly membership, it's fifty bucks a month, I don't bill or use your insurance." And they're like, "Well, I have X health insurance product." And I'm like, "Okay, that's great. I don't bill or use that." And they're like, "What do you mean; you don't? Like, why do I have this?" And that's like, that's the most upset anyone will ever get. And I can understand. They either hang up at that point and say, "All right. I'm sorry. I didn't understand fully." Or, I'll explain to them there's a difference between health insurance and healthcare. And health insurance is a financial product to protect you from bankruptcy, like car insurance or home insurance, et cetera. And healthcare is the relationship with the doctor. Somebody that listens to you understands your concerns and is able to help you in a holistic, patient-centered way. And that's what I throw at my patients. That holistic approach. The time to listen, the time to care about them. And that's healthcare. Romy:	Yes. Right. And any other, have you inspired any other physicians to say, "Hey, gosh, I would consider either joining you or doing something similar?" Dr. Paul Thomas:	Yes. For sure. So, I meet with ... I meet and talk with a new doctor almost every day. Definitely a few times a week. There's doctor who's going to be starting up in Northern Oakland County, kind of under my guidance. There's a doctor who's looking at opening up in Ypsilanti, again under my guidance. And then I have a few physicians who are interested in joining my practice. So, just kind of evaluating options and growth strategies to make it work in a sustainable way. And then another thing is I teach at the medical school, at Wayne State, and I also give lectures there and some interacting with students in trying to inspire the next generation of family doctors or internists, or pediatricians to do this, kind of, membership-based practice because I feel like there is a much bigger option for satisfaction and the ability to give the greatest care possible when you have enough time to deliver that care. Romy:	Well, I love the idea of you expanding with you at the helm, because at some point there's only so many people you can see. But I love this idea that you're teaching some others or attempting to inspire some others. I'm sure you are. You're a great speaker. I've heard you speak in public before, and I was inspired. So, I think that's thrilling for me to hear that you're inviting others to participate at the table. I think the world's a better place when we invite others to join up in the train and it becomes a bigger and bigger impact. How ... that's a good segue to ask about dreaming big. If you were going to let yourself just dream off big with just what you know as of today, what could this look like? Dr. Paul Thomas:	I think this could look like a nation where we, kid of, get rid of these old notions of what good healthcare looks like, and starting to realize that it doesn't look like a piece of plastic in our wallet, and it looks like a relationship with someone in our community that's a healer, that can listen, that has the time to address your concerns. And my dream is that more and more physician’s kind of wake up and also have the courage to step out on their own and to deliver the kind of care that they were trained to deliver, and rather than just being told that they only have eight minutes to spend with their patients. That rather just saying, "I get to decide what I get to do with my time because I'm not beholden to you, a third-party entity, like an insurance company or a government payer. Like my patients pay me directly so I'm going to do whatever I can to serve them the way I would want to serve a family member or friend. So, that's the message that I'm delivering to my physician colleagues. It's like, "We can do this together, and I can give you the tools, or I can set you up with a network of other doctors who can help you with the tools as well. Romy:	Yeah, and it brings back this notion of customer service. Puts you and the patient on the same side of the table, really. You're both gunning for good health. Yeah. Wow. That's fantastic. Well, I love that. That's a real ... I want to make sure we highlight what you said there, "It's not a piece of plastic in your wallet, but a healer, a courageous healer." That really hit my spirit. That's really big and profound. Well, how would others reach you? Dr. Paul Thomas:	Yeah, so, PlumHealthdpc.com and that "DPC" stands for "direct primary care" and then we're across the web. Twitter, it's @Plumhealthdpc, Instagram, Facebook.com/Plumhealthdpc.com. We're on YouTube as Plum Health DPC, et cetera. If you ever want to connect with me personally, you can call essentially my cellphone, (313)444-5630 and that dials me directly, so. But that's our office line, but everything goes through my cell because that's how my patients get a hold of me. 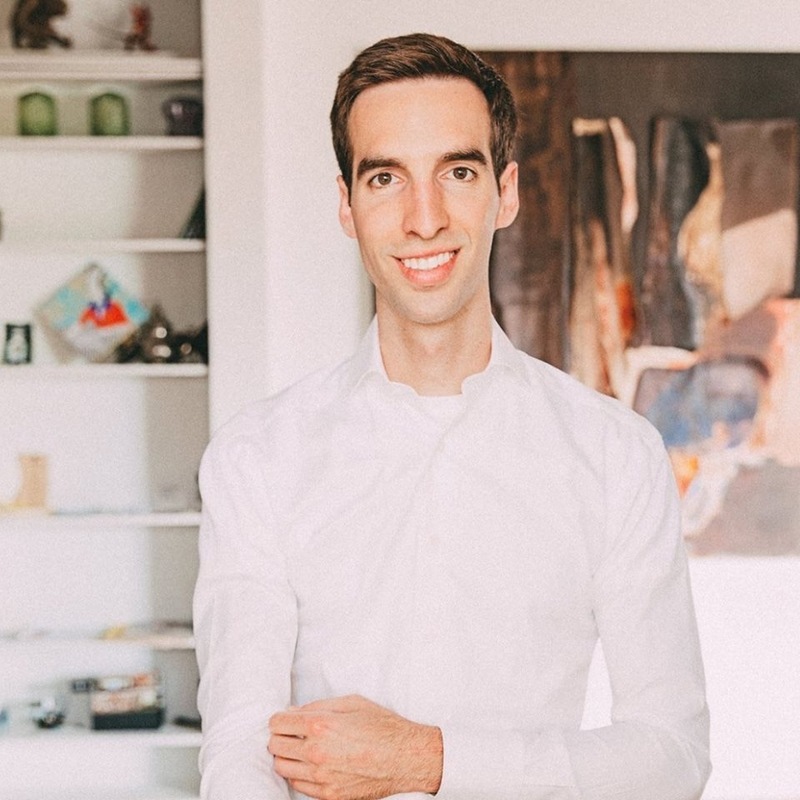 So, if you had some burning questions that you can't find after looking through my website or watching some YouTube videos, give me a ring, and we can chat about healthcare 2.0 so to speak. Romy: All right. Thanks so much. I really, really appreciate you. Dr. Paul Thomas: Oh. You're welcome. And thank you again for having me on.